How does this compare to real life? Surveys reflect what people say, but not always what they do. So how do these results compare to our real-life experience? These are not all the same reasons people come to us for help. Motivation to write is rarely an issue. If they come to us, they are motivated. Nevertheless, a third of would-be authors never publish their book because they are not motivated to follow through on their idea. And these people will never seek us out for help. I suspect some amazing ideas get lost in the ether this way. Motivation is an epic challenge for writers…but not for all. 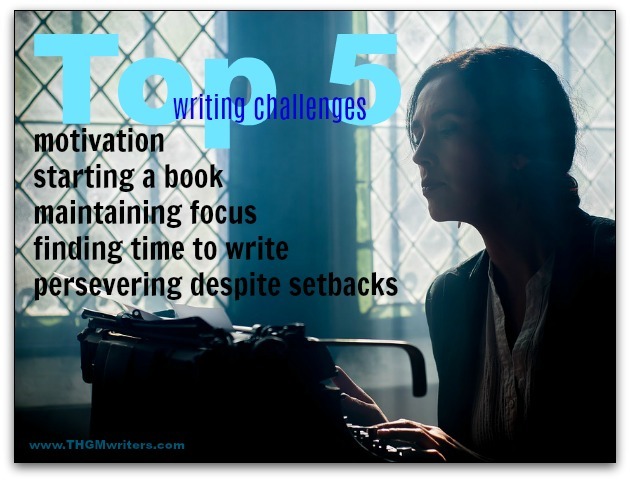 People also find it challenging to start writing. I suspect this is a matter of not knowing how to organize their thoughts and put them in the best sequence. Not knowing how to start is a big reason people come to us. People might be motivated, but if they can’t start, they won’t get anywhere. In some cases, clients ask us to start, continue and complete. In some cases, they just want us to get them organized. In other cases, the person has an idea, but it’s not the full idea. It might be just a third of the idea, very well developed, but without the other two-thirds that are needed to create a meaningful manuscript. As Bridget notes, it helps to figure out what you want to say. Just one in 10 would-be authors said they had problems persevering despite setbacks. Let’s keep in mind that at least a third of them never got started, so 10% is more like 20% of those who get started. In such situations, we sometimes take up the manuscript where the author left off. Sometimes we also edit what has already been written. And sometimes, we rewrite the manuscript almost from scratch. Some people seem to have problems focusing while writing. We don’t hear this very often, but there might be some overlap here. A lack of focus might be what happens when advancing through a poorly organized outline. Or it might be due to a busy schedule. 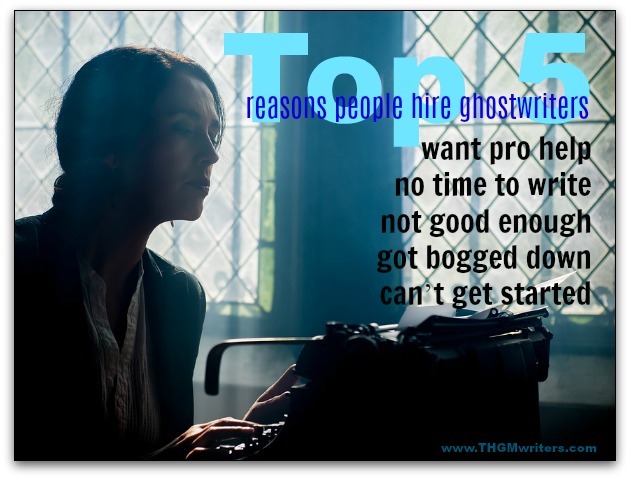 In fact, a number of people have problems finding the time to write. Only 7%? That seems low. A lot of our clients come to us to better manage their time. Busy, busy people. They don’t have the time to dedicate to writing – and, yes, writing takes dedicated time. It takes focus. You need to get in the flow and stay in the flow. It’s hard to write with continuity if you reserve an hour every third day. What’s missing from the survey? One of the main reasons people come to us to write their manuscripts is missing from the survey results. That is writing skills. They don’t feel they are good enough writers. They want a professional polish on their writing. People who simply lack confidence. People with little education, but a great imagination. When we work with these clients, we generally have to write from scratch or rewrite from scratch. The second group tend to be more educated native speakers, confident in their own writing and confident enough with their own ego to seek professional help. Sometimes they are too busy to write their manuscript themselves. In other cases, they write it and ask us to edit it. Being a writer myself, I can say, this explains a hell lot of about writers hard work. We go through many challenges each day to rise above all and produce best possible content. So, thanks for the read david. I always have the time to write but my problem is I lack the motivation.